This morning, I woke up at 7am. It is Mother’s Day. It is a very beautiful morning. I look at this Mother’s Day card that my son made for me. I think mom of all ages love hand-made and heart-felt gifts. 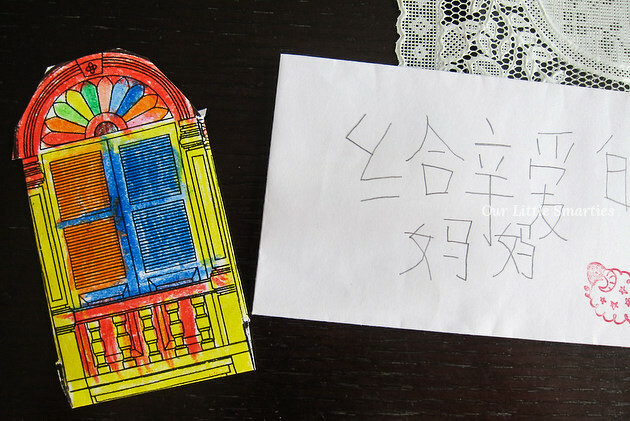 This little card from my son touched me so deeply. 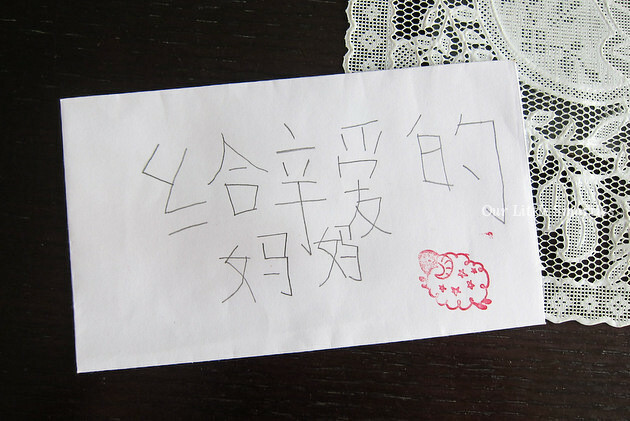 I’m sure he put in a lot of efforts to make it; there are a handful of Chinese words on the card. Thank you, dear son! 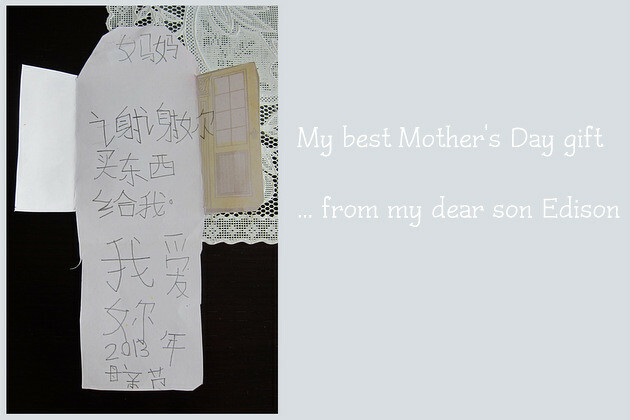 Your Mother’s Day card is really priceless to me! Every mother deserves this special day! Here’s wishing you a very Happy Mother’s Day too!